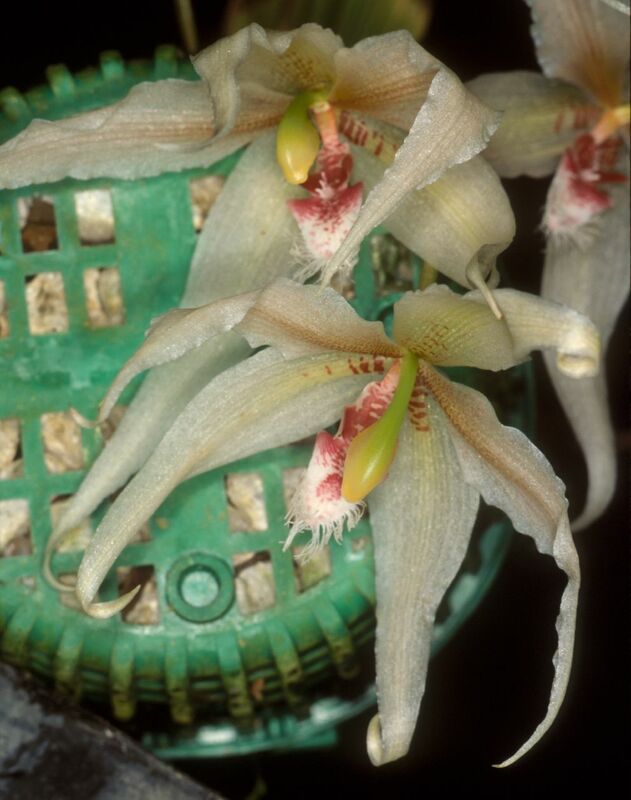 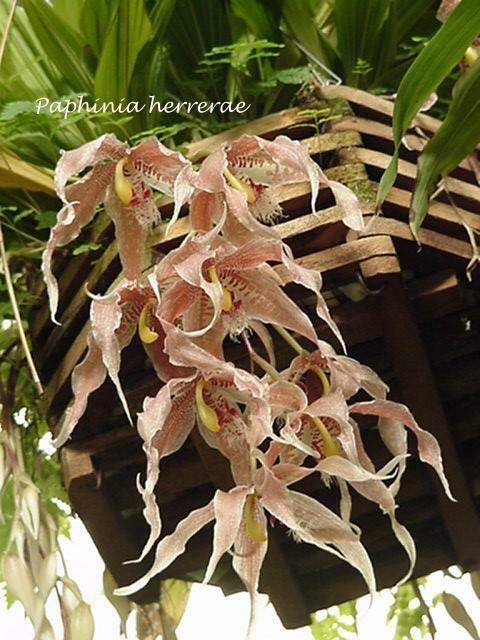 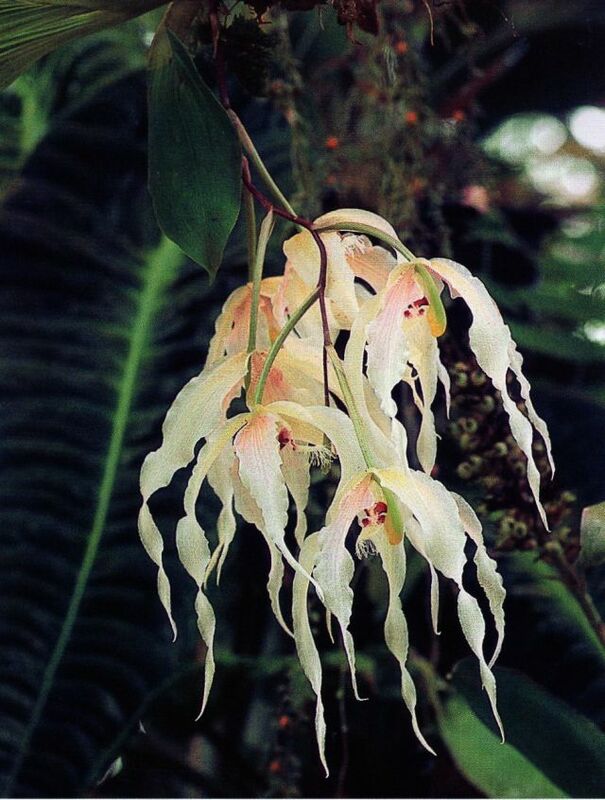 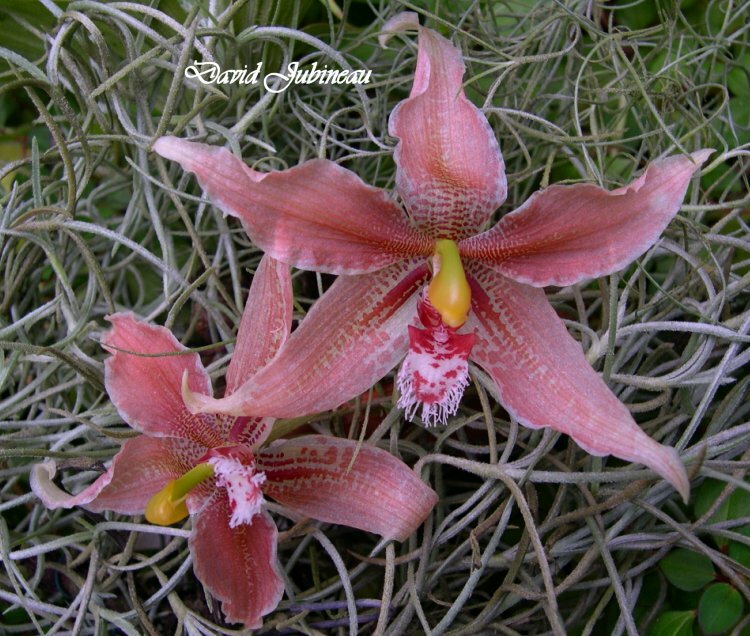 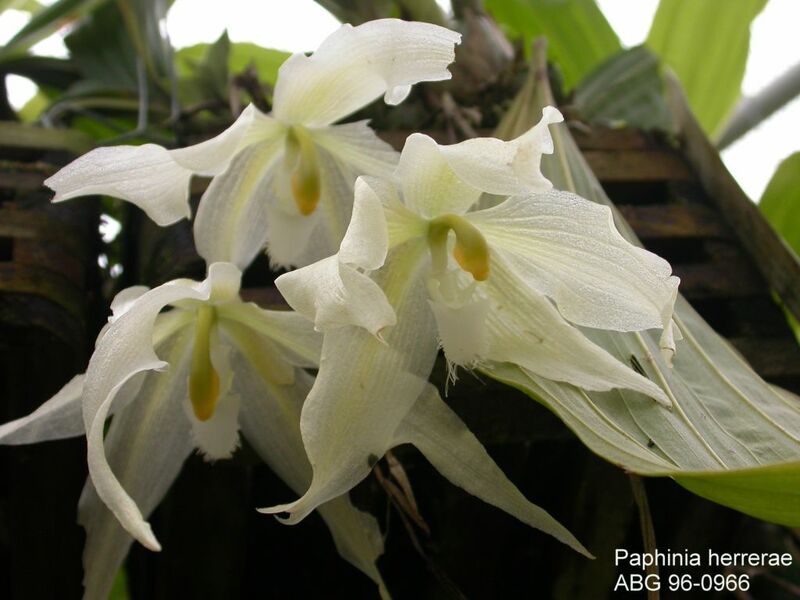 This species hails from Ecuador as a small sized, warm to cool growing epiphyte that is found at elevations of 700 to 1200 meters in very wet montane forests with flattened, ovate, light green pseudobulbs subtended by 2 to 3 distichous, imbricating foliaceous sheaths with 2 thin, obovate, obtuse, apiculate leaves that are heavily veined on the underside, deciduous, basally clasping leaves that blooms in the fall through spring on a basal, pendant, 10" [to 25 cm] long, 3 to 7 flowered inflorescence arising on a mature pseudobulb enveloped by 3 to 5 tubular, inflated sheaths and having tubular floral bracts enveloping the ovary. 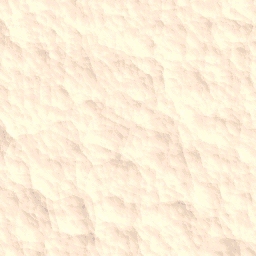 A white color form of the previous species. 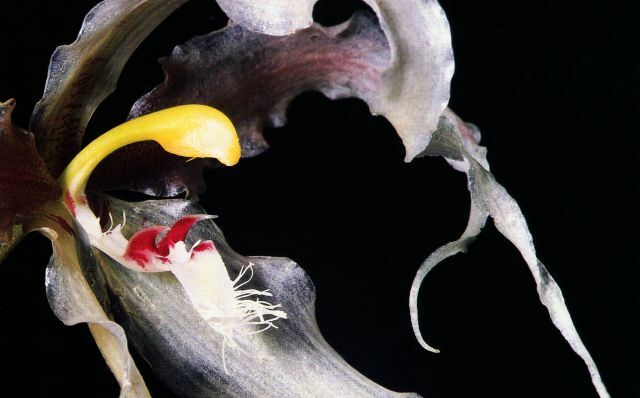 A rose colored variety of the previous species.